Jill is currently the Director of Human Resources for the City of Irving. 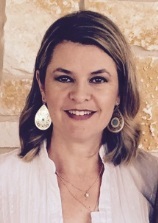 Prior to joining the City of Irving, Jill was the HR Director at the City of Bedford. Under her leadership, the City of Bedford was the recipient for the 2014 TMHRA Innovation Award for the development and implementation of an Emerging Leaders Program. She worked in the private sector for nearly 10 years in corporate HR for The Bombay Company, Cendant Corporation and Radio Shack prior to working at the City of Bedford. Jill has been a member of the TMHRA board since 2013. She chaired the membership committee in 2013 and has co-chaired the Programs Committee for two years, developing over 20 programs/conferences and working with over 75 speakers and presenters during that time. Additionally Jill has worked with several non-profit groups in various volunteer and board capacities such as Historic Ft. Worth, Thistle Hill, Cooks Ft. Worth Children’s Hospital and Camp Fire USA. Jill is a long standing member of TMHRA, SHRM and IPMA-HR. She has a strong HR generalist background, a degree in Journalism from the University of North Texas and a SMRH-CSP certification from SHRM and a SPHR certification from HRCI. She lives in Haslet with her husband Kyle and her basset hounds Clara and Henry. 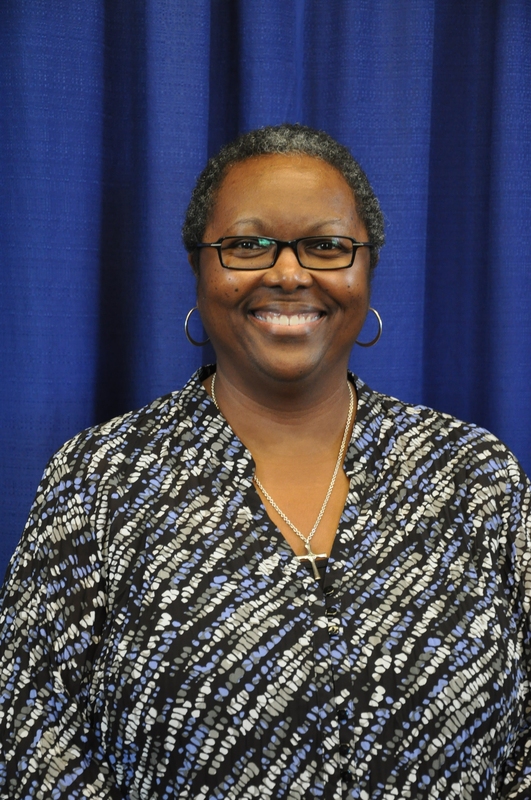 Cheree’ is currently the Assistant Director of Human Resources for the City of Richardson. She has over thirteen years of experience in Human Resources with municipal government and a total of eighteen years of experience in Human Resources. Cheree’ obtained her Bachelor’s Degree in Business and Human Relations at Amberton University and is currently pursuing a Master’s Degree in Conflict Management & Dispute Resolution at SMU. In 2008, Cheree’ obtained her SPHR certification through the Human Resources Certification Institute and obtained her SHRM-SCP through the Society for Human Resources Management in 2015. Cheree’ has served on the TMHRA Conference planning committee for two years and has been a member of TMHRA since 2003.
enior Professional in Human Resources) Certification by the Society for Human Resources Management, the CGBA (Certified Government Benefit Administrator) by the State and Local Government Benefit Administration and the IPMA-CP (International Public Management Association-Certified Professional) designation. Paula Kutchka, Director of Human Resources, for the City of Sugar Land, is a native Texan. She was born in Victoria and grew up in Wharton County. Paula earned a Bachelor of Science degree in psychology from the University of Houston-Victoria. Paula began working for the City of Sugar Land in 2002 when she was hired as the Compensation and Benefits Manager. She was promoted to Assistant Director in 2006 and Director in 2011. Paula has over 20 years of human resources experience in a variety of industries, including county government, staffing, manufacturing, and chemical production. Paula’s professional affiliations include HR Houston (served on 2010-2011 Board of Directors), Texas Municipal Human Resources Association (TMHRA), National (NPELRA) & Texas Public Employee Labor Relations Association (TxPELRA), and International Personnel Management Association (IPMA). Paula also participates in the greater Houston area Human Resources Management group, which meets bi-monthly to discuss hot topics that affect the region. With the numerous challenges facing the Human Resources profession today, including compliance with ever-changing state and federal regulations, Paula believes strongly in continuing education, strategic planning and meaningful conversations regarding the changing work environment. She has led a number of initiatives to modernize Human Resources at the City of Sugar Land, has made her department “paper light”, and continues to look for ways to improve operational efficiencies and customer service. Paula, her husband Gary, and two children have lived in Fort Bend County since 1997. Lisa has served as a leader in Municipal Human Resource for 20 years, 10 of those as Human Resources Director for the City of Grand Prairie, the 15th largest city in Texas. She has expertise in Civil Service, Employee Relations, Risk, Benefits Strategy, and all things “people!” She loves coming to work each day knowing there are opportunities to help others of all levels, in and outside of her organization, explore and identify solutions, implement change, motivate behavior and empower others. She thrives on being a mentor to those growing in Human Resources, networking with other tenured professionals of ways to improve our “business” of Human Resources, and solve for issues identified. She loves to motivate, encourage and inspire others. Lisa enjoys the challenge of new projects which keep her energized. 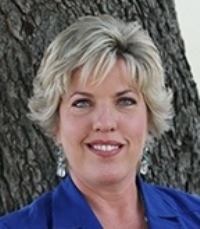 She has provided leadership on several boards and committees including TMHRA, IPMA-HR Texas, and sits on the Executive Committee of the North Texas Coalition – a group of 31 cities in the Dallas-Fort Worth area exploring opportunities to work directly with hospital systems on cost and health care delivery strategies. Outside of HR, she enjoys spending time with her family, hunting, fishing and having a good cup of coffee to get the day going! Actually, there isn’t much she doesn’t like! Tadd has been with the city of Georgetown here he has served as Human Resource Director since 2014. His career in municipal Human Resources includes serving the communities of McKinney, San Angelo, and North Richland Hills over a 15 year period. 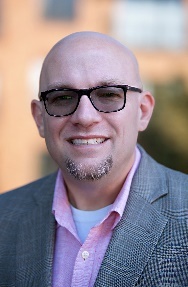 Tadd is certified as a SPHR by the HR Certification Institute, a SHRM-SCP by the Society for Human Resource Management, as a lean black belt by the Denver Peak Academy, and is a graduate of Leadership Georgetown. 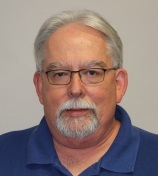 He is a Past President of the Texas Municipal Human Resources Association and he currently represents TMHRA as a member of the TMRS Advisory Committee on Retiree Matters. He is a Past President of TXPELRA and past recipient of the NPELRA Pacesetter Award for innovative leadership in public sector labor relations. Tadd served on the TML Resolutions committee in 2014 and is a past speaker at the TML Annual Conference, GFOAT, TCMA, TXPELRA, and TMHRA. He earned his Bachelor’s degree from the University of Texas and his MBA from the University of North Texas. He, his wife Amy, and their three kids are pleased to call Georgetown home. Shanté has almost 20 years of municipal human resources experience with the City of Palm Bay, Florida and several municipalities in the DFW Metroplex, including DeSoto, Cedar Hill, Allen and Rowlett. Currently Shanté serves as the Director of Human Resources and Civil Service for the City of Plano. 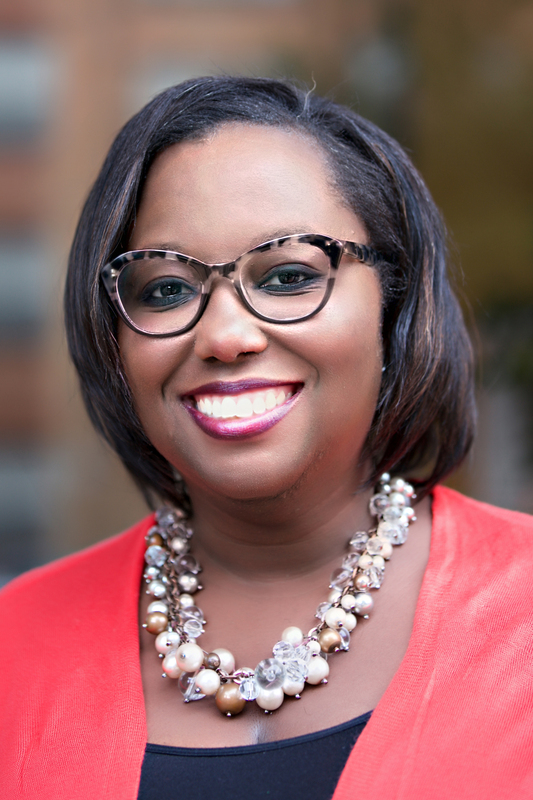 Shanté is a Dallas native and has had a long standing passion for local government administration dating back to high school where she attended the Magnet Center for Government, Law and Law Enforcement in downtown Dallas. This passion for local government administration led Shanté to receive a Bachelor’s degree in Public Administration from Grambling State University and a Master of Public Administration from the University of North Texas. Shanté served as a Trustee on TMHRA’s board of directors from 2008 to 2012 and from 2016 to present. During this time she had the pleasure of chairing the conference programming, newsletter and sponsorship committees. In her free time, Shanté enjoys traveling, meditative coloring, listening to audio books and spending time with her husband and their sons. 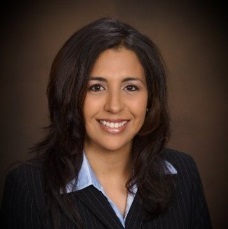 Sandra Duran has the distinction of serving as the City of Kyle’s first Director of Human Resources. She joined the city in 2008 following many years as a leader in Human Resources at two different multimillion-dollar private sector firms. Sandra has a broad range of skills and practical hands-on experience that fits the needs of a diverse and rapidly growing city. She oversees the city’s daily operations related to recruitment and selection, classification and compensation, training and development, benefits administration and employee relations for all Kyle staff. For the current fiscal year, Sandra led the effort to hire approximately 40 plus positions, both full and part-time. During her tenure with Kyle, she’s speared headed several employee-based initiatives including employee monthly meetings, special events, health/wellness programs, forward- thinking policies that include telecommuting and conceal carry handguns for municipal employees. Sandra also serves as the Civil Service Director for the City of Kyle. In that capacity, she has facilitated Meet and Confer negotiations with the Kyle Police Association. She was also instrumental in preparing the city for any legal challenges that the City faces. Sandra holds a Bachelor’s of Arts, dual major in International Business and Spanish from Texas Lutheran University. She lives in Martindale, TX with her family of seven. Andre Houser, SHRM-SCP, SPHR, IPMA-SCP, currently serves as the Human Resources and Civil Service Director for the City of Conroe, TX. He has served in that capacity since January, 2012. Andre has over 30 years of municipal HR experience, having served in 5 cities and 3 states. He has worked for both Mayor-Council and Council-Manager cities, and is very familiar with the pros and cons of each. His experience covers all aspects of HR Management, including collective bargaining, labor relations, recruitment and selection, compensation and benefits, health and safety, and Civil Service. Andre has been active in the HR field, having previously served as a SHRM Chapter President in Arkansas, as SHRM State Director in Oklahoma , and as a multi-year member of the former Area IV SHRM Board. He currently is a member of the Montgomery County chapter of SHRM. Andre is also a member of the International Personnel Management Association, where he serves on the 2016 Awards Committee. He holds a Bachelor’s Degree in Political Science and a Master’s in Public Administration, both from the University of Arkansas. Andre received a Certificate in Management from ICMA, has been certified as a Professional Trainer by Arkansas State University, and is a Texas Certified Public Manager, which he earned at the University of Texas at Arlington. He is a 2013 graduate of Leadership Montgomery County in Texas. He is certified as SHRM-SCP, SPHR, and IPMA-SCP. Christi Klyn attended Midwestern State University where she received a B.A. in Psychology and Sociology, and a M.A. in Training and Development. Christi worked in private sector Human Resources for 8 years prior to beginning her municipal service with the City of Wichita Falls in 2013. She began her career with the City of Wichita Falls as the Human Resource Manager/ Civil Service Director, and promoted to Director of Human Resources/Civil Service in 2015. Christi is responsible for oversight of Personnel Services, Risk Management, and Employee Benefits. During her time with the City, Christi has formed a Wellness Committee and supported the committees implementation of a City Wellness Program, is in the process of working with departments to implement and support the City’s first formal safety program, and collaborated with the Police Department to implement an alternative promotion system for the Wichita Falls Police Department. 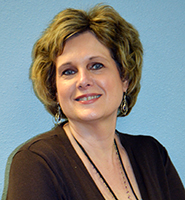 Christi is a member of SHRM, TMHRA, and Wichita Falls Human Resource Management Association. Christi would be honored to serve as Trustee on the TMHRA board, and is eager to support the organization through her commitment to human resource best practices. I joined the City of Uvalde as an Administrative Assistant in 2010. Within 6-months of employment, I was appointed Deputy City Secretary in addition to my administrative duties. In June 2012 through February 2013, I served as City Secretary while still holding on to my administrative duties as well as assisting the Human Resource Manager when needed. Due to structural changes within the Administration Department along with the hiring of additional staff, I was promoted to Human Resource Manager in February 2013, where I have remained ever since. As the sole Human Resource person, I am responsible for recruiting, processing new hires, benefits administration, training, claims and risk management as well as policy and employee relations. During my tenure, I have implemented several improvements to the City’s Human Resource functions. These improvements include a peer interview process, implementing a Healthy Initiatives Benefit and Wellness Fair, introducing a Safety Footwear Incentive and finding effective ways to educate staff about safety practices. My goal is foster an environment that values diversity, employee inclusion and appreciation as well as safety practices, while maintaining a dedicated focus on ways of improving the overall well-being of the organization. If appointed as a Trustee on the TMHRA, I hope to bring a can-do attitude, the knowledge and experience that I have gained throughout my employment as well as the insight on how to reach out to local governments and/or Human Resource professionals whose departments are small in size. During my employment, I earned an Associates of Arts Degree from Southwest Texas Junior College in 2014 and a Bachelor of Applied Science Degree with an Emphasis in Organizational Leadership from Sul Ross State University Rio Grande College in 2016. I have 4 years of Human Resource experience. My past positions include Admissions Clerk and Billing Representative. Holly is a Southeast Texas native and attended Lamar University where she earned a bachelor of business administration in human resources management. Holly joined the City of Nederland as the court administrator in 2010 and has been the human resources director/civil service director since 2013. She also serves as the assistant to the city manager for special projects. 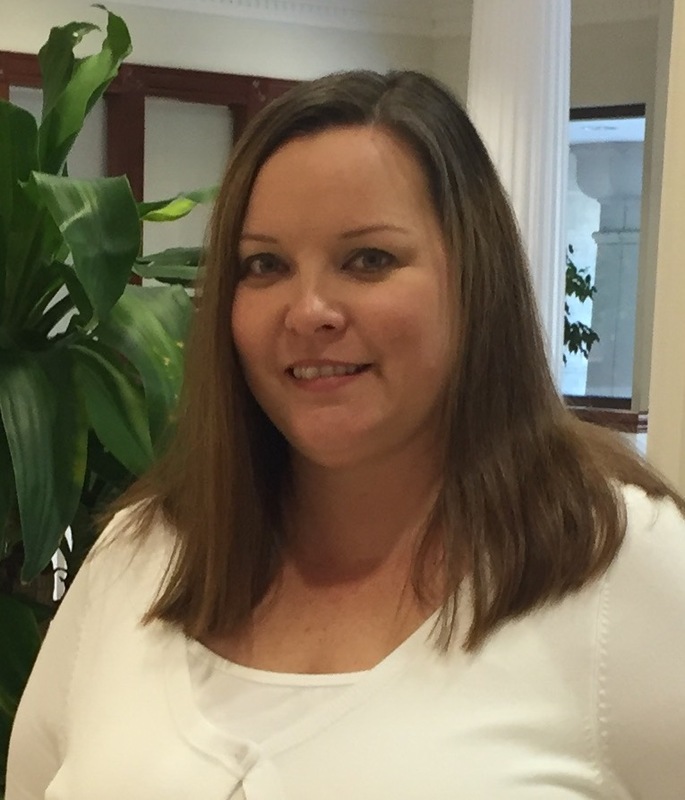 Holly is responsible for managing all personnel related operations, benefits administration, and risk management. During her time with the City, she has developed a water/wastewater treatment operator trainee program to allow current employees the opportunity to work towards state licensing. She also assisted in the City’s first salary and benefit survey in more than 20 years and established an employee wellness incentive program with plans to continue to expand the program in the future. Working in a small city often presents unique challenges, and she strives to address issues directly for the betterment of Nederland. Carmen currently serves as the director of human resources for the City of Webster. Carmen began her career in human resources more than 30 years ago with the City of New Orleans, Louisiana, Civil Service Department. It was there that she developed her passion and commitment to the human resources profession. 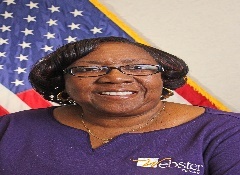 She has the distinction and honor of serving as the City of Webster’s fourth director of human resources. Carmen was blessed to join the Webster management team in August 2016 under the wise guidance of City Manager Wayne J. Sabo. Prior to joining the City of Webster, Carmen served as the personnel director for the City of Lake Jackson for more than 11 years beginning in 2004 and had the distinction of being the second person to serve in that capacity. She worked on several major projects from compensation to performance evaluations. 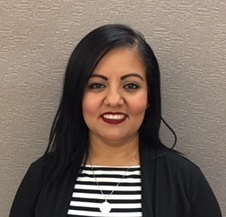 In March 2001, Carmen joined the Texas Department of Transportation’s Houston District Office and headed up their human resources office, which served more than 1,500 employees in several counties. Carmen holds a bachelor’s degree in management and marketing from Loyola University in New Orleans, Louisiana. Because of her dedication to keeping abreast of current topics and trends in human resources, Carmen holds the following certifications: Global Professional in Human Resources (GPHR) and Senior Professional in Human Resources (SPHR) through the Human Resource Certification Institute (HRCI), International Public Management Association for Human Resources – Senior Certified Professional (IPMA-HR SCP), and the Society for Human Resources – Senior Certified Professional (SHRM-SCP). 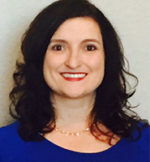 Carmen has membership in several professional organizations, including the Texas Municipal Human Resources Association (TMHRA), the Society for Human Resources Management (SHRM), HR Houston, the New Orleans, Louisiana, Society for Human Resource Management (NOLA-SHRM), World at Work (WAW), and the International Public Management Association for Human Resources (IPMA–HR). Carmen joined TMHRA in 2005. She had the honor of serving on last year’s TMHRA Nominating Committee. Craig was born and raised in Garland where he met and married his wife, best friend, and roller coaster partner of over 25 years. They have been blessed with three beautiful, intelligent, and talented daughters ranging in age from 10 to 21. Craig is a proud member of Team Plano where he serves as the human resources strategic solutions manager. His responsibilities include leading organizational initiatives that are focused on improving the operational effectiveness and efficiencies of human resources programs that impact the organization and customers. Examples of these initiatives are the implementation of the City’s Talent Management Model tenets (Acquire Align Develop Retain); threading the organizational values which form the acronym SERVE (Stewardship Engaged Respectful Visionary Excellence) through employee engagement, performance, and recognition; and oversight of the Human Resources Information System (HRIS). Before becoming a member of Team Plano, Craig had more than 17 years of service in the City of Garland Human Resources Department. His responsibilities included management of the citywide employee engagement program and intranet (COGnet), compensation, human resources project management, and various systems such as the Applicant Tracking System (ATS) and the Human Resources Information System (HRIS). He previously served as the director of civil service and in many other human resources capacities, including risk management claims analyst and training coordinator. Prior to joining the City of Garland, Craig worked in the bank and insurance industries for 10 years. 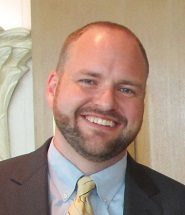 Craig received his bachelor’s degree from Abilene Christian University, holds an International Public Management Association – Senior Certified Professional (IPMA-SCP) designation, and is currently enrolled in the University of Texas at Dallas Master of Public Administration (MPA) Certificate Program. He is an active member of Dallas HR, the International Public Management Association for Human Resources (IPMA-HR), the Texas Municipal Human Resources Association (TMHRA), and the Texas Public Employer Labor Relations Association (TxPELRA).